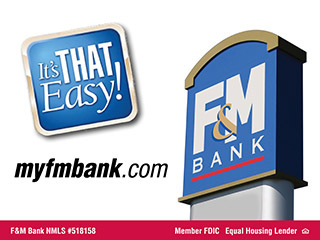 Clarksville, TN – The City of Clarksville together with U.S. Bank will be Jammin’ in Strawberry Alley again on Friday, August 17th, 2012. Join us for this month’s free concert and “night market”, featuring more than a dozen vendors from Clarksville’s weekly Downtown Market. Vendors will be set up from 5:30pm to 8:30pm, and the concert will begin at 7:00pm. The concert features Clarksville’s hottest new oldies rock cover band, Yesterday! Like most great bands, their adventure started almost by accident when bassist, Larry Rocconi, brought together guitarists/vocalists, Larry McMillan and Roman Hankins, for an impromptu jam session. The chemistry was immediate, and the guys decided to jam again after the youngster Roman learned a few Fab Four tunes. Roman then included his old college roommate, drummer Thad Wallus, in the next session, and Yesterday! was born. With Bruce Ervin now on the keyboard, the band expands its musical selection across the oldies/classic rock spectrum while remaining true to their Fab Four core. Come out and experience the music…the culture…the scene…of Yesterday! In addition to the live music and market vendors, downtown restaurants will offer outdoor dining for Jammin’ in the Alley patrons. Come ready to eat, dance and shop! Strawberry Alley will be closed to through traffic starting at 1:00pm on Friday. Starting at 3:00pm, the lower employee parking lot of City Hall will be closed. However, drive-throughs for U.S. Bank and Regions Bank will be accessible, as well as the upper City Hall parking lot. Special thanks to our sponsors for their support to make free outdoor concerts possible. Jammin’ in the Alley sponsors include The Leaf-Chronicle, Clarksville Family Magazine and Lamar Advertising. 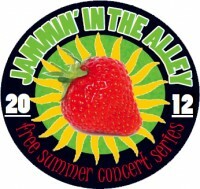 For more details on Jammin’ in the Alley, please contact the Clarksville Parks and Recreation at 931.645.7476 or visit www.parksafterdark.com . Topics: "Jammin in the Alley", Bruce Ervin, City of Clarksville, Clarksville City Hall, Clarksville Family magazine, Clarksville Parks and Recreation, Clarksville TN, concert, Lamar Advertising, Larry McMillan, Larry rocconi, Live Music, Night Market, Regions Bank, Roman Hankins, Strawberry Alley, Thad Wallus, The Leaf Chronicle, U.S. Bank, Yesterday!